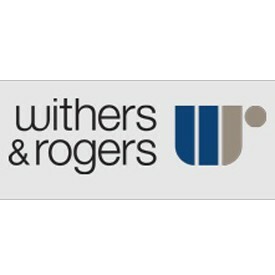 Established in 1884, Withers & Rogers LLP is a leading European intellectual property (IP) firm providing expert advice on the protection and enforcement of IP rights particularly for inventions, designs and trade marks. Reflecting the firm's distinctive entrepreneurial personality, its patent and trade mark attorneys come with a depth of specialist understanding and pride themselves on helping businesses to commercialise their IP. The packaging used by Pringles may not be easy to recycle but its robust and well-sealed design helps to extend shelf life and minimises food waste. As consumers become more environmentally conscious, packaging solutions providers are increasingly taking a holistic approach to minimising environmental impact. This can involve extending the shelf life of products; using materials that can be recycled more easily; reducing the overall amount of material used or investing in enhanced recycling capabilities. For example, injection moulding specialist, Amaray, focuses on product design and minimising waste. Factors such as post-consumer recycling, reducing material content and component parts, and using just one material, are all considered when designing products. In their 'Closed Loop' system, excess inventory ordered by customers is returned and reground in-house before being reused. In 2016, 1,254 tonnes of plastic were re-purposed in this way at Amaray's Corby site, which is- the equivalent of 24 million DVD cases avoiding landfill. Other examples of innovation include solutions that use plastic-coated cardboard as an alternative to black plastic food trays. The Slimfresh design manufactured by Coveris is a vacuum-skin packed (VSP) solution, which helps to extend the life of fresh meat and fish products as well as reducing the amount of material used in packaging. Where products such as disposable coffee cups are difficult to recycle, due to the combination of materials used, investment in recycling may be the best option. Currently, there is little sign of patents being granted for alternative coffee cup designs. Instead, investment is being made in upgrading recycling facilities to increase the volume of cups that can be recycled. Whichever approach is taken to reducing a packaging solution’s environmental impact, there is often scope for companies to obtain IP to protect their commercial interests.